Available in 4 colours, these technical socks are friction free and feature a Deocell treatment, providing anti-bacterial properties. 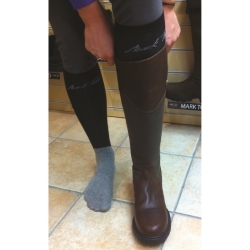 They are knee length, with padded foot and ankle as well as additional support on the inside of the leg. Perfect for riding socks.